An exceptional opportunity to own a rare 160 acre in-holding, located within the highly coveted trophy Unit 61. 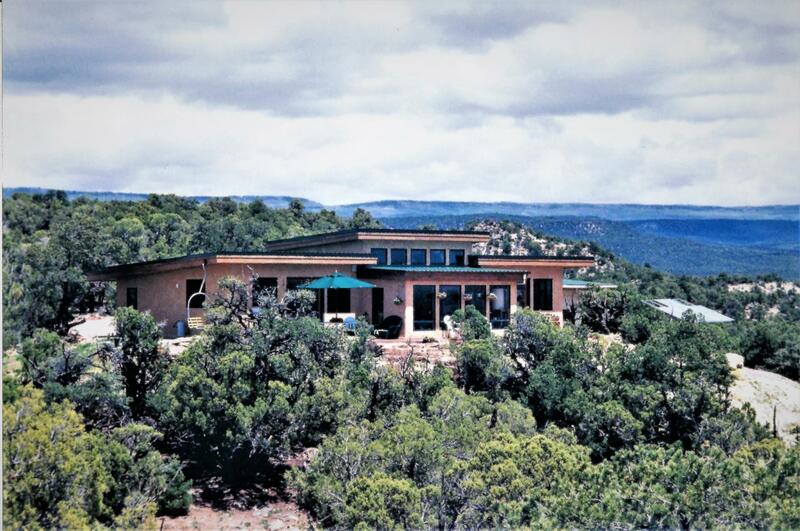 The ranch offers you an environmentally conscious, custom built solar adobe home (with 2 garage - workshops) on 160 private acres in Southwestern Colorado. The ranch is an in-holding - completely surrounded by BLM and Uncompahgre National Forest lands - and positioned to capture spectacular mountain and canyon views.The 2,000sf home and the adjacent 2 garages are highly engineered to live off the grid without giving up any comforts. Solar power, rain catchment & storage systems, back-up generator and propane tank will keep your costs and maintenance issues low in this very energy efficient property. Listing provided courtesy of Linda Jaekel Avery of Avery Land.